Then at the library--Arcade's favorite place to chill--a mysterious old woman gives him a golden arcade token that grants him a unique gift. A gift that allows him to time travel between different places including his own future. From sitting in the dugout with Babe Ruth, to hanging on to the back of a bucking bull, to performing life-saving surgery on a dog, Arcade has no shortage of adventure Together with his older sister, Zoe, Arcade explores life's biggest thrills and challenges, and the two also have a big mystery to solve. 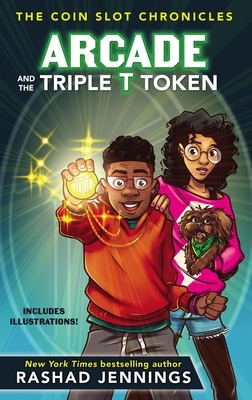 Who is the rightful owner of the incredible Triple T Token that leads to such astounding adventures?